The Sea-to-Sea Route (C2C) is an amalgamation of existing trails, much like the Eastern Continental Trail (ECT). It was first envisioned by Ron Strickland back in 1996. 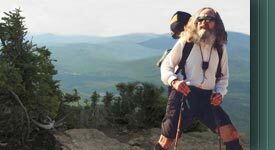 Strickland is founder of the Pacific Northwest Trail (PNT) now one of our three new National Scenic Trails.